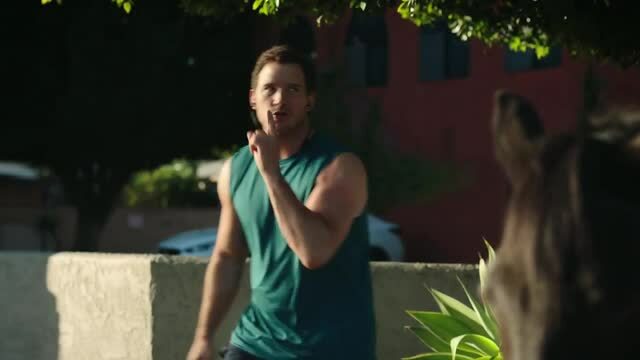 Gary Freedman of RESET directed this Super Bowl spot in which actor Chris Pratt is in training for his Michelob Ultra ad which is slated to debut during the Big Game telecast. Turns out Pratt’s role isn’t quite what he thought--far from a spokesman and more in the background. The comedy commercial was conceived by a creative team at FCB Chicago. Client Michelob Ultra Agency FCB Chicago Liz Taylor, chief creative officer; Andy Kohman, Josh Hurley, VPs, creative directors; Nick Stoner, Nick Howard, associate creative directors; Will St. Clair, SVP, director of integrated production; Chris Wickman, executive producer. Production RESET Gary Freedman, director; Dave Morrison, managing director; Deannie O’Neil, exec producer; Jen Beitler, exec producer/bidding; JP Colombo, head of production; Andrew Travelstead, producer; Joe Willems, DP; Chris Gorak, production designer. Editorial Exile Kirk Baxter, editor; Remy Fox, producer. Cartel Leo Scott, editor; Lauren Blauweiss, partner/EP. Post VFX Lord + Thomas Clare Deady, sr. producer.